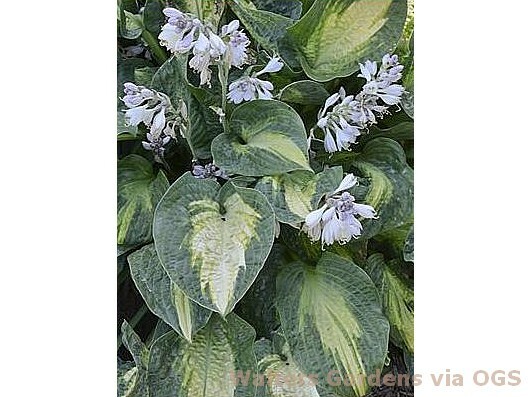 Product Information : This hosta sports its alligator-like texture in its leathery, highly corrugated leaves. Wide, blue-green margins with chartreuse centers become yellow in summer. Tall white flower scapes bloom in early summer. Mature Size : 18" x 36"